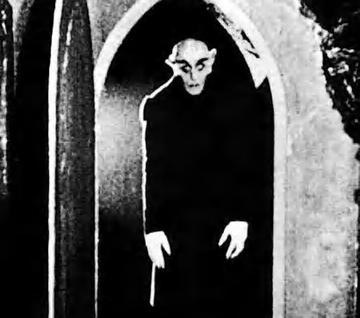 An interesting post at Plagiarism Today explains how much of modern Dracula/vampire lore is the result of a misguided effort by the producers of “Nosferatu” to avoid a copyright infringement lawsuit from the Bram Stoker estate. Entertainment Lawyers, at the root of things, provide legal advice, counsel and representation to businesses and individuals in the entertainment industries, including the fields of theatre, television, film, music, publishing, and digital media. Within the field of enteratinment law, lawyers typically focus on one of two “sides”: Transactional or litigation. Many entertainment lawyers subspecialize, focusing their energies on the music business, or just film. Others are generalists, bringing a wide range of expertise to deals that increasingly span the various sub-industries. Readers who are interested in the business of producing theatre know how highly I recommend The Producers Perspective, a blog written by Broadway Producer Ken Davenport. Imagine how pleased I was today, when I opened my browser to his article on five of his top picks at the New York Musical theatre Festival (NYMF), and saw that not one, but two shows I’ve been involved with made his list! reAnimator: The Musical is based on the 1980s cult film ReAnimator, produced by my client, Brian Yuzna. Earlier this year, I was pleased to assist Brian in negotiations with the musical’s adapters/authors to make this and other productions possible. Central Avenue Breakdown’s book and music are by my client (and high school bandmate) Kevin Ray. A few months ago, I helped Kevin work out his deal with his collaborators, and lay the groundwork for this and future productions. If you’re going to be in New York during the Festival, you owe it to yourself to see either or both of these shows, and any of the others in the festival. It’s the cutting edge of musical theatre writing in the U.S., and some of the offerings are bound to go on to be big hits.